Our lives are full of happenings that, sometimes, we cannot keep up with. There’s work that needs to be done, and things to keep in check at all times. Sometimes, we are so caught up with our busy schedule that we tend to neglect the basic needs of the people who need us – our elderly loved ones. There are many ways in which we can help them. But, we cannot always assure that our time and attention can be given. That is why we have Home Elderly Care Assistance in Southeast Michigan to help seniors receive the quality of life they deserve. 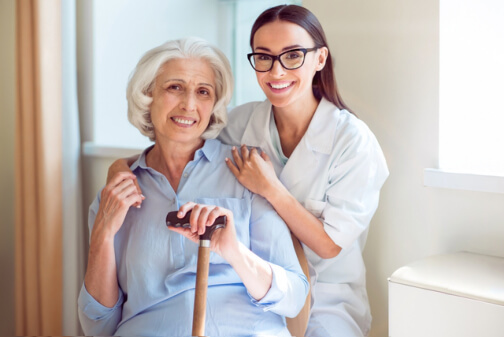 Home Care Services in Oakland Counties Michigan is important to many people because of the benefits and advantages it brings to the family. Keeps our elderly loved ones on the radar at all times. They are always well taken care of. They are always supervised. There are nursing and caregiving services that would always look after them at the comfort of a family environment. When we are busy, our elderly loved ones are not given the attention they need. In-home care services always make sure they get what they need – a nurse, a caregiver, a companion, a friend. The medications of seniors should be on time. It is important to their health to take the necessary medications at the right time. Their meals are always checked and polished to their health standards. The timing is always in check. They are organized. Assistance is always given when they need help with anything else. They have a companion. Nurses or caregivers who work with dedication and compassion for their field are always happy to be of service to others. Sometimes, we do not realize that seniors also need a friend to turn to when they need something. Sometimes, all they need is someone to talk to and to assist them with their health. In-home care services come in different varieties such as basic and personal care services. There are 24-hour care services as well that would accommodate our needs full-time. In-home care services always aim to give the best to all the clients and patients, for the betterment of their health. These in-home care services accommodate patients of any age, illness, or disability. With Heaven Sent Home Support Services, choose the care that is right for our loved ones. Let’s not leave our loved ones in the dark and give them the light they deserve. I hope this helps inspire our choices. This entry was posted in Home Care and tagged Elderly Care, In-Home Care, Senior Care. Bookmark the permalink.